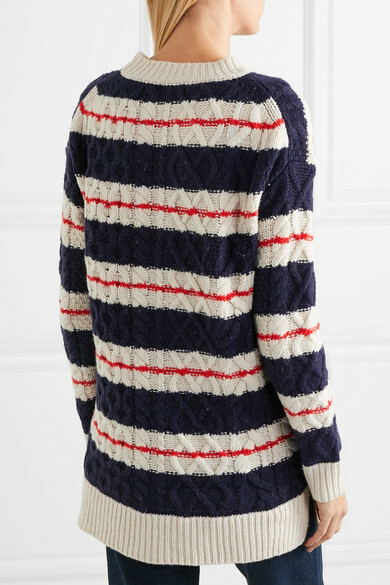 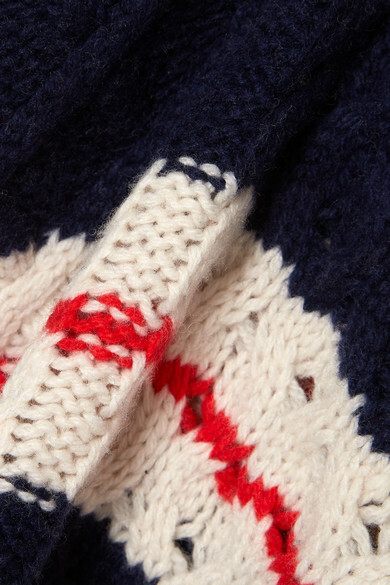 J.Crew's 'Gabby' sweater mixes two classics together - cable knit and stripes - and the result is so fresh and striking. 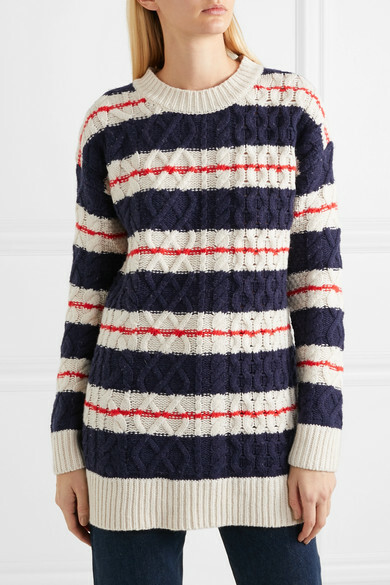 It's spun from a warm merino wool-blend and has a longline silhouette that looks great when tucked loosely into jeans. 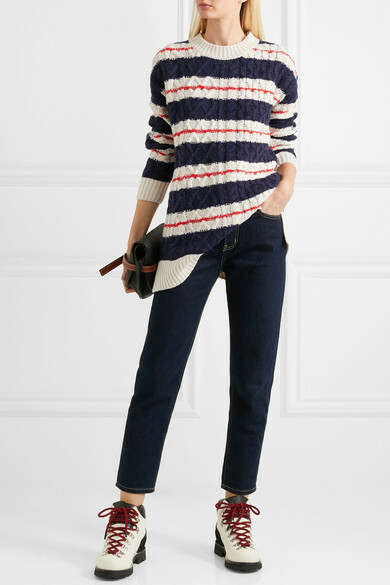 Shown here with: Loewe Shoulder bag, Proenza Schouler Ankle boots.